I decided to install my new Mitas Dakar E07, 50% on road and 50% off road tires late last week and have been itching to try them out.. It’s still a little early in the season for any single tracks or real tough roads since everything is pretty much still iced or snowed in. Though after a heavy night of rain I found a good trail to try the tires out. I was very impressed with their handling on the rougher stuff. Going to take some time getting used to on the road. They feel a little washy. 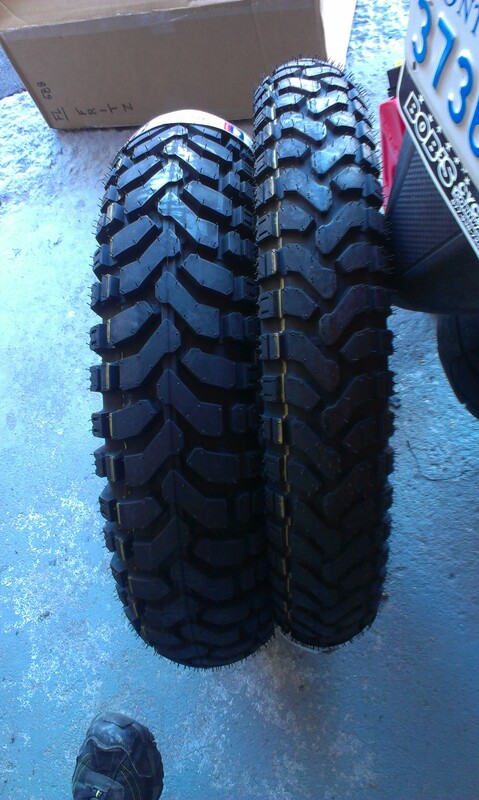 Though I hear that is normal and just a matter of getting used to the new tires.